Tokyo Suite is one of five apartments that comprises our Poblado Suites. Tokyo Suite comes with a spacious open kitchen and access to the private patio area. 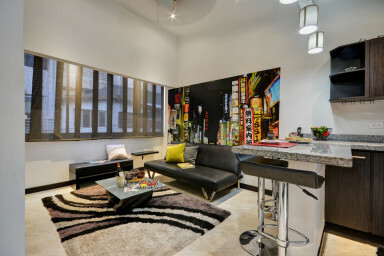 The artwork is second to none with stunning full wall murals giving the unit a unique and unforgettable presence. There is a cozy bedroom and a large well designed bathroom ensuring great comfort during your stay.